Today’s episode is sponsored by Blinkist, the only app that distills the key takeaways from thousands of nonfiction books into 15 minutes of content you can read or listen to. Today’s episode is also sponsored by University of California, Irvine’s Division of Continuing Education. For great deals from both sponsors, tune in to our episode! Let’s face it; becoming a parent is weird. All of a sudden we’re tasked with the biggest responsibility of our lives: growing another human being. The good news? Parenting ingenuity is an endlessly renewable resource! 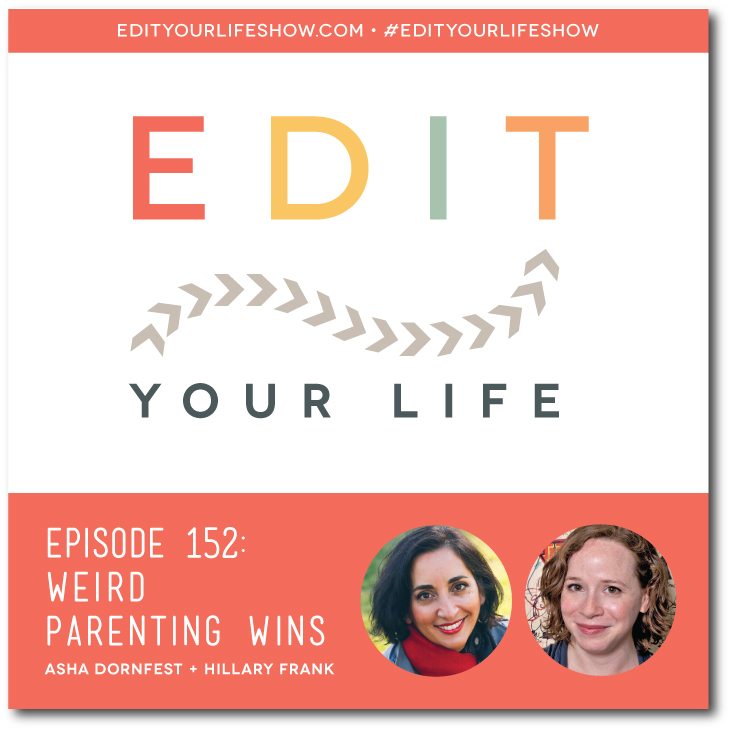 In Episode 152, Asha interviews Hillary Frank, creator of The Longest Shortest Time podcast and author of Weird Parenting Wins: Bathtub Dining, Family Screams, and other Hacks from the Parenting Trenches. Asha and Hillary talk about the pervasive feeling of failure that can accompany parenting, the Internet’s ability to create parenting community, Hillary and Asha’s favorite parent hacks, and more. What’s one of your favorite weird parenting wins? Join the discussion on the Edit Your Life Facebook page -- look for the Question Of The Week post pinned to the top of the page.